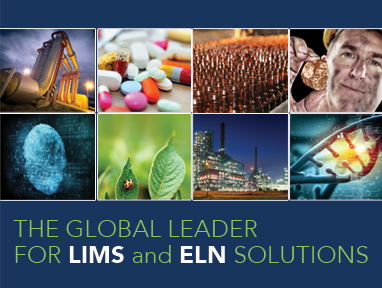 LabWare has achieved success by meeting commitments and exceeding expectations in LIMS and ELN projects large & small, local & global, routine & complex. LabWare is the clear industry leader in laboratory automation software with LabWare LIMS ™ (Laboratory Information Management System) and LabWare ELN ™- a fully integrated Electronic Laboratory Notebook application. Enhancing competitiveness, compliance, efficiency and patient care. for today's competitive environmental laboratory. from raw materials to final product. Comprehesive LIMS solution that includes automated case management, DNA fingerprinting, and evidence control. decision making supported by continuous access to timely and reliable information. functionality in a single integrated platform. Click here for the latest CEC information!